Imagine waking up one day and experiencing pain or an impairment that you can’t explain. Now imagine spending months seeing multiple doctors, spending hours of time researching symptoms—and still coming up with no answer. For the 30 million Americans with rare diseases, this is an all too common reality that takes a toll on both physical and mental health. We sat down with Dr. Margo Lauterbach, director of The Concussion Clinic, part of The Neuropsychiatry Program at Sheppard Pratt, to discuss her work with patients and families impacted by rare diseases and the importance of Rare Disease Day, which takes place each year on the last day in February. In the U.S., a rare disease is classified as a disease impacting fewer than 200,000 people in the nation. Today, there are approximately 7,000 diseases and disorders that are considered to be ‘rare.’ Altogether, rare diseases impact 1 in 10 Americans—and more than half of those impacted are children. People with rare diseases face many challenges. It can be difficult to find a diagnosis, and many struggle with misdiagnosis. Even when diagnosed, 95% of these individuals find their disease has no cure. What is the purpose of Rare Disease Day? The purpose of Rare Disease Day is to raise awareness for rare diseases and their impact on the lives of patients and families. This is a day for patients and their families, disease-specific organizations, healthcare professionals, researchers, and policy makers—everyone can do their part to raise awareness so we can make scientific advances in an effort to improve treatments. What work do you do with patients who have rare diseases? Rare diseases can often cause psychological distress. Sometimes, it is because certain rare diseases lead to mental health symptoms. Other times, patients with rare diseases experience stress, depression, or feelings of isolation related to their diagnosis, because there is little known about their disease—and in many cases there are no cures. 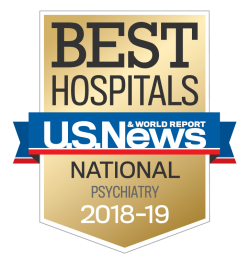 Within The Neuropsychiatry Program at Sheppard Pratt, I work with these patients and their families to identify any mental health impacts related to the disease, or sometimes simply in the pursuit of a diagnosis, and I help them come up with a plan to address their issues. How can friends and loved ones offer support if someone they know has a rare disease? People with rare diseases can feel very isolated both before and after being diagnosed, so it’s very important for friends and families to stay involved, informed, and active in supporting a loved one with a rare disease. There are many ways to get involved and make a difference—whether it’s through participating in the research community, or advocating for policy change. Are there any resources out there for people with rare diseases looking for support? In the U.S., the National Organization for Rare Disorders (NORD) is a leading organization that offers support for people with rare diseases. I encourage people to visit their website and check out resources available—whether a patient, caregiver, researcher, or advocate—to get involved and shine a light on this often overlooked population. Have you or someone you know ever experienced a rare disease? Let us know about your experience in the comments below.